I was watching the sale page of " Canon EOS R " at Amazon, I was worried about some comments in the bottom review column. USB charging is via USB-type C, but it was not possible to charge it because voltage is insufficient if it is from a general USB power supply. Useful function when you forget the battery charger, when you want to reduce luggage, etc. Although it can be seen that the evaluation written as such, it seems that it can not charge unless you use the separately sold USB power adapter PD - E1. So, the attached charger is more compact, and when I forget the charger I realistically think that it can not charge even if there is a USB cable. 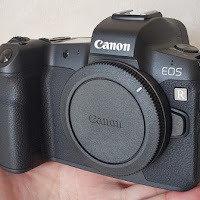 No, even if it is not " USB Power Adapter PD-E1 ", Canon EOS R can charge if you use the USB Type-C (USB-C) adapter compatible with "USB PD"! I will say on this blog that I am saying that. As the main commentator said that we tried a common USB power supply, I think that I was surely trying to charge with a weak USB adapter for smartphone but probably tried without knowing USB PD I guess. In fact I tried to reply to Amazon Amazon.co.jp I thought that I could not comment on Amazon EOS R because it was impossible to comment on new comment, I decided to write it blog by all means. First of all, USB PD stands for USB Power Delivery, which is a USB standard that allows large current to flow. It is also adopted for recent MacBook Pro and Nintendo switches, and it can charge the main body with PD compatible USB cable without dedicated power cable. 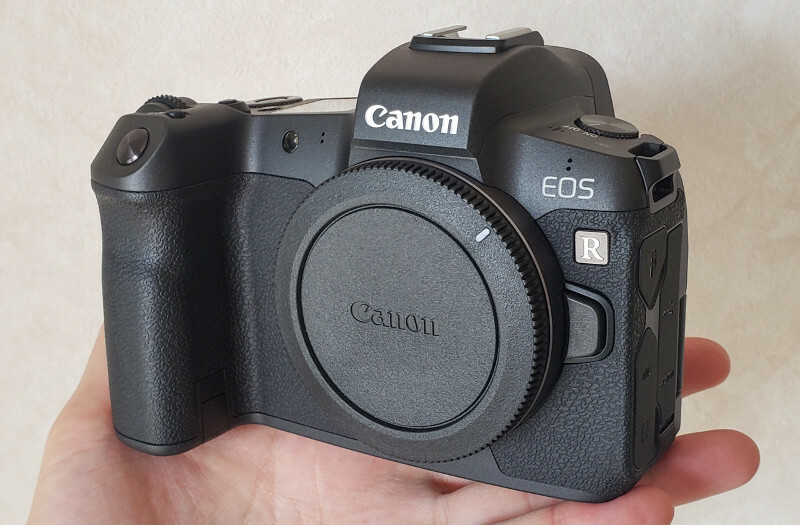 The Canon EOS R itself also has a USB - C terminal, and if it is a USB - C compliant USB - C cable you can charge the EOS R battery without problems. Actually, the USB - C adapter that is attached to the MacBook Pro that I use is compatible with USB PD, you can charge Canon EOS R by connecting PD - compatible USB - C cable. It is also common to charge with " Anker PowerPort + 5 USB - C Power Delivery " which is usually put in the living room. Also, the compact " Anker PowerPort ll PD " is also active in cafes and co-working spaces. Although it is so small, it has USB-C and regular USB (A), it is easy to charge anywhere. It is perfect for bringing it to a trip, when I stayed at an inn in Mie prefecture I charged Canon EOS R with this. 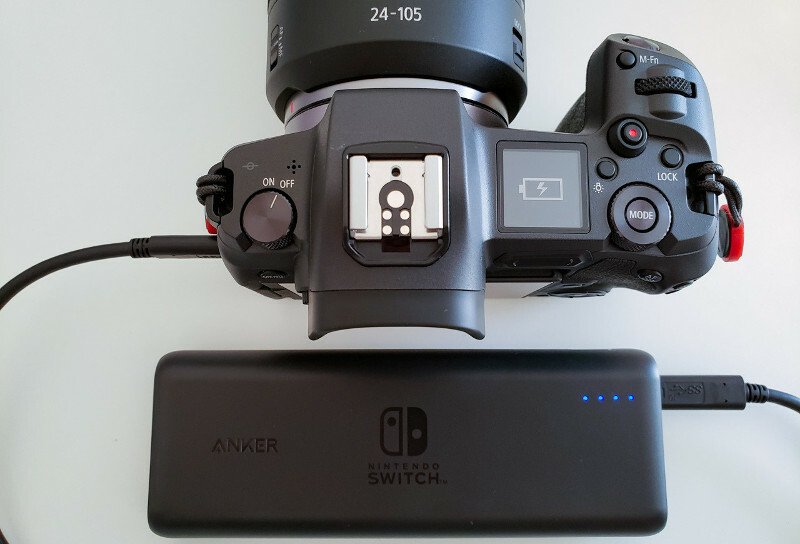 Anker PowerPort ll PD and one cable, it was able to cover all the power supply of MacBook Pro, smartphone and EOS R, and it was a very helpful adapter. In addition, you can charge it with mobile battery " Anker PowerCore 20100 ". This mobile battery can also charge the MacBook Pro, and it is a barrel to demons anymore. The above adapter or mobile battery is an item that supports USB PD. In other words, if you want to charge Canon EOS R, please use USB PD adapter and mobile battery. If your relationships are always the same, you have a problem. But it is possible to uncover the unfavorable pattern of relationship and to change it as it were. What can you do to break the vicious circle efficiently? You already have multiple partnerships behind you and all have failed? Maybe it's because you always choose a very specific type as a partner. But you may also conduct your relationships in a way that almost inevitably leads to failure. If you see any pattern that keeps repeating itself, it's time to make a change. If you fall from one relationship to the next, you have no opportunity to develop yourself. Therefore, after a failed relationship, a break is always recommended. In this phase, you can study the past relationship, search for errors and problems, and then compare your findings to previous partnerships. In this way, you will quickly find your own mistakes and only these mistakes can correct them. For example, if you always choose a partner who is inferior to you, you can break this pattern by looking for a partner at eye level. Unfavorable relationship patterns do not arise consciously and therefore it is difficult to create a change. For example, you can barely influence which type of person you are attracted to. But if you realize at the very beginning that you are back in your old pattern, you are more likely to have a chance to go another way this time. It can take years to break a drawn-in relationship pattern. But it is worthwhile not to give up the fight, because you are finally fighting for your personal happiness. Conclusion: Unfavorable relationship patterns are usually very deeply anchored in the subconscious, so that a change is difficult. But with continuous effort it is possible to make important progress. Due to the globalized world, applications are often written in English today because new courses have been standardized internationally as part of the Process. That's why applications today come from different parts of the world. With this adjustment, therefore, rejections in good English should be written in order to preserve the impression of a company. The content of the cancellation is subject to conditions similar to those for cancellations in many countries. 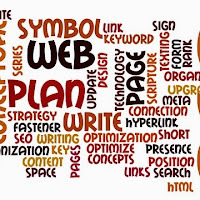 In addition to the normal letter form with the sender and the recipient, a personal salutation and the reason for the letter should be formulated. This is standardized today and can also be retrieved in English as a standard. The reasons for the cancellation should also be formulated. This is also common practice in standard form. Nevertheless, it is good to have several versions of reasons ready, as the cancellation can then be adapted to the actual situation. Such an explanation may be that the profile of the employee is not suitable or the position has already been awarded. At the same time, the letter should express a thank you for the effort and time of the application and include a phrase for the further successful search for suitable job offers. Especially after a rejection, further motivation is important for the candidate in order to be successful in the search for new work later on. 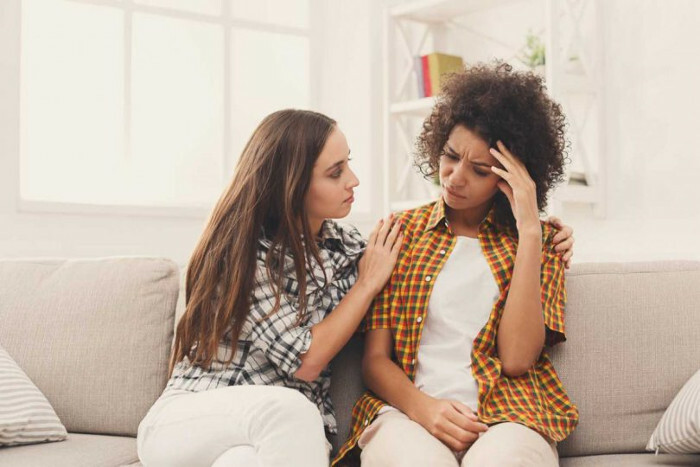 In addition, a rejection is possible only after a long time and therefore requires appropriate care in the formulation. 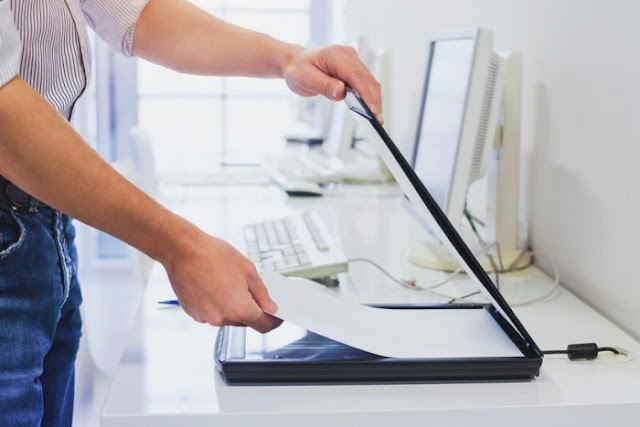 The application cancellation in English can also be combined with the return of application documents. An application cancellation in English should contain the phrases just mentioned and always give the applicant the feeling that they are not unqualified despite the cancellation. This is important for the quality of the further job search and leads to a positive self-esteem. Externally, the rejection of the other countries version remains are very similar. The formalities do not necessarily have to be adapted to English in your country companies, but can usually take place in the usual way. Also, using a template is especially helpful when a company does not speak English and style. In this case, it is advisable to consult a native speaker to have multiple templates made for separate content. Later, the templates can be used for a large number of application cancellations. "Never photograph in backlight!" This warning may sound familiar to you. Because often fail images that are photographed in backlight. The backlight on your photos can conjure up a very special atmosphere. You just need to know how to play with the backlight. The fact that one should only photograph subjects with the sun in the back, is now an outdated fairy tale. When photographing, many photographers consciously use the backlight to bring an artistic aspect into their photography. Because with the light that falls frontally on the lens, you can achieve great high-contrast images that are very different from the "normal" images. What is the effect of the backlight when taking pictures? With the sun in your back you can not go wrong to take a nice photos. The sun optimally illuminates your subject, but the shot lacks dynamics later. If you take a picture of the same subject but with backlight, you will see that you have taken a completely different picture. More contrasts come into their own, in a portrait photo the skin color looks much softer. The problem: with the backlight also quickly unwanted shadows on your photo, which makes the picture look very dark. If you do not want to anchor shadows created by backlighting as an artistic aspect in the photo, the shadows are usually disturbing objects. You can avoid this, for example, with a side light, a headlight or an external flash. In addition, you should try not to photograph the sun directly with the subject, as this will greatly underexpose all other subjects. So try to cover the sun directly through the subject. If you shoot in backlight, you need to switch your camera to manual mode. If you take pictures in the backlight in the automatic mode, the camera automatically orientates itself at the light source, ie the sun, and arranges these as very bright, so that all other subjects are automatically underexposed. In manual mode this does not happen. Set the ISO value as low as possible, ie to about ISO 100. First set the aperture to f8 and then play with a closed or open aperture. You should also switch off the automatic white balance or set to "sunlight". 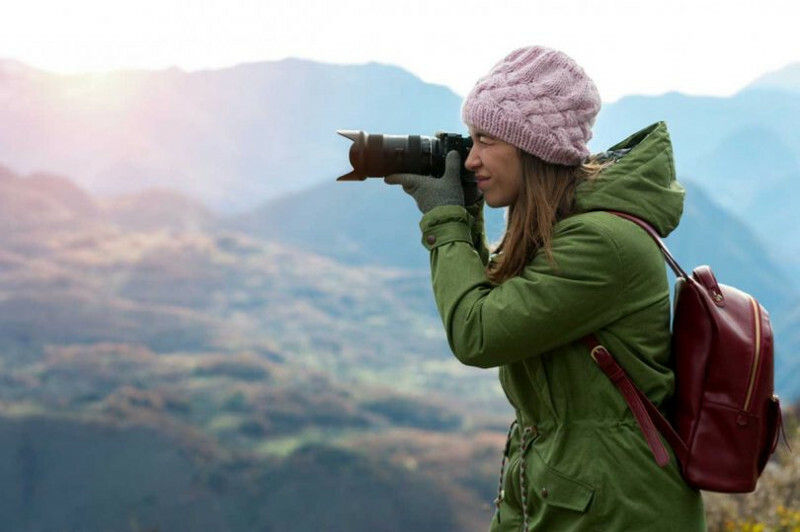 A lens hood is also recommended to avoid unwanted reflectors. With spot metering, you can better measure the individual light levels and determine which light value the camera should use. When photographing in backlight, you should then perform spot metering at a medium light level, not at the light source itself. Each motif can be photographed in backlight, but only certain subjects make your picture to a unique shots. For example, try photographing the leaves of a tree backlit to reveal the individual leaf fibers. Also blades of grass or insects and cobwebs unfold in backlight a very special effect. It will be more difficult if you want to photograph people in backlight. Be sure to use a fill flash to avoid underexposing the face. Again, make sure that you do not put the sun in the picture. The element of water is a great subject to practice backlit shots. For example, take a picture of a creek in the back light and create many glittering drops of water on the picture. Just as mystical is an icicle or fountain in the back light. For all your shots, make sure that the light source against which you are photographing is obscured by placing the subject in front of it or not picking up the light source. Then you will quickly succeed in the photos in the backlight. Panic creates a sudden state of intense fear of an actual or perceived threat. This condition is accompanied by numerous physical symptoms. If the state of panic recurring periodically, it is spoken of a panic disorder. How can the affected person help himself? Anyone who knows it and has experienced a state of panic one or more times knows that it comes out. It can last from a few minutes to half an hour. This creates a fit-like feeling of helplessness and anxiety. Accompanied by physical symptoms such as palpitations, chest tightness, sweating, just to name a few. In this state the mind is switched off and as a rule no logical actions can be performed. Higher human capabilities are limited. 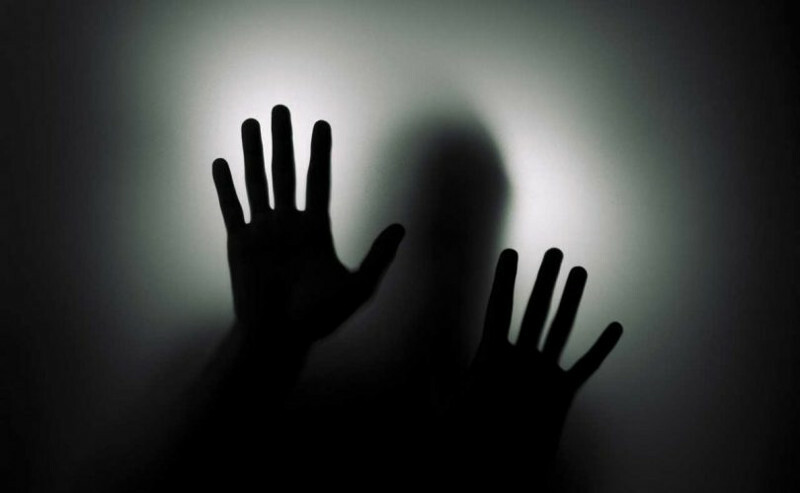 The affected person is completely in the feeling of the threat of his own life. Feeling afraid of dying now. If this condition occurs more often, the quality of life is severely limited. This can go so far that the persons concerned no longer dare to certain places or avoid certain situations. Affected then want in this situation with the feeling of oppression and the inner "request" that the attack calms down. That is completely wrong! In this situation, the condition usually gets even stronger. This is where the paradox of the psyche comes in. Take a 0.5 m wide 10 m long board and place it in a long corridor. How often do you go over the board without getting lost? Probably a hundred or a thousand times. This board can be placed only 50 meters between two houses. How often do you go about it now? Most not at all, because they would fall off. Because it happens the opposite of what should not happen! When an attack comes, then get together and say, "I want to reinforce it now, make it stronger and stronger!" If you can get involved and have the courage, then you will notice that the attacks flatten and disappear. No patient in my presence has yet managed to make the attacks stronger. Should there ever be a person who can do it, then this person can also make the attacks disappear. Get your quality of life back and share your positive experiences with other sufferers. 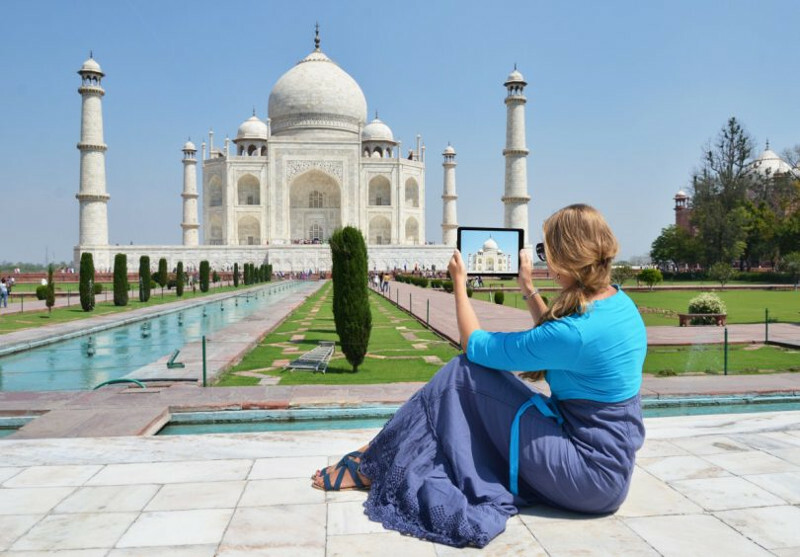 What clothes you should wear in India? India is a country with a great tradition and culture. When traveling to other countries, we want to prepare well and behave appropriately. In addition to the manners, there is also a kind of dress code that leads to mutual respect. But also the climate, the nature and the landscape give reason to deal with the dress code before a trip to India. Short pants only when necessary - in India only schoolchildren wear shorts and they will only attract attention. Of course it is up to you how you want to dress. There are many tourists who do not stick to it or are not informed. From mutual respect, however, it is highly recommended from my side to pay a little attention if you do not want to be stared at or want to appear attractive. You do not even have to take much clothes with you. At every corner there are shops with fine fabrics and great clothes, like the Salvar Kameez or normal T-shirts and trousers made of cotton, silk etc. These are also available at very reasonable prices. Also, the custom-made suits, dresses, shirts or pants is highly recommended, as it is just as cheap and the fabrics are really good quality and color. It is best to bring a template, as the Indian people usually have a smaller and more delicate physique. 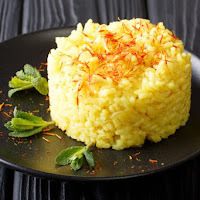 Risotto alla Milanese (rice with saffron) is the most famous dish of the Milanese cuisine. The history of its origins goes back to the 15th century. In the following article you can read about it and get the delicious risotto recipe from Milan. According to the story, a gifted student of a well-known glass painting artist is said to have achieved wonderful yellows in glass production by adding saffron. His master, together with the journeymen, had been commissioned to produce the glass windows in Milan Cathedral. During work, some saffron fell into the boiling risotto pot. The color of the dish was so unique and unusual that the recipe got around in a very short time in the whole of Milan. Here is the delicious original recipe. Heat the beef stock. Peel the onion and chop finely. Trigger bovine marrow and finely dice. Melt with 25 g of butter in a saucepan. Briefly fry the onion in hot fat over a low heat. Then add rice and saffron and fry until glassy. Pour in the white wine and cook under mild heat while stirring. Increase the heat a little, pour one-third of the hot stock and wait with frequent stirring until the rice grains have almost completely absorbed the liquid. Repeat the same procedure twice more. After about 30 minutes, the risotto is done. One half of the Parmesan plane, the other rub. Stir the grated cheese with the remaining butter under the risotto. Season the risotto with sea salt and pepper and arrange on preheated plates. Sprinkle with the grated Parmesan. 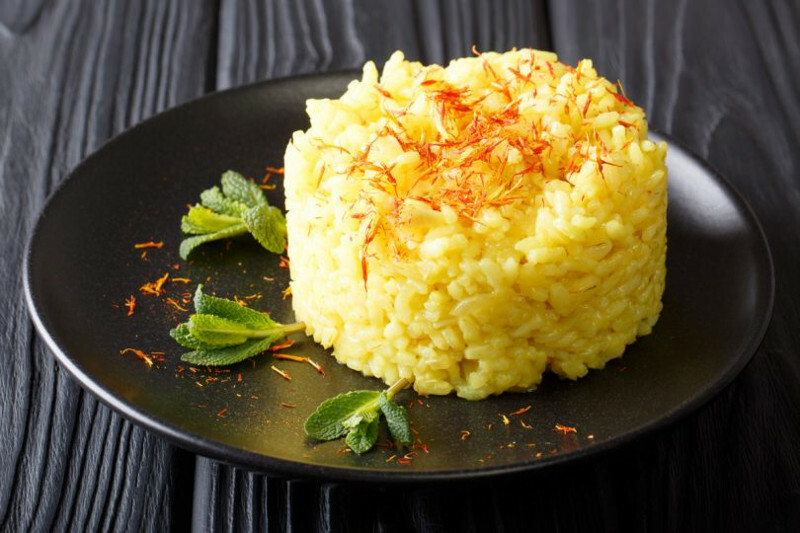 Served with edible gold leaf, the saffron risotto looks very noble. Enjoy your meal!